Everyone knows that large trucks can be very dangerous. Not everyone can drive these vehicles. In order to do so, most states require operators to obtain a commercial driver's license. Obtaining these licenses are a privilege not to be taken lightly. That is why our attorneys strongly believe that careless truck drivers that cause serious car accidents should be held accountable for their actions. If you have been injured in an automobile accident with a truck, give us a call now to learn how we can help you. We can be reached at 800-893-9645. In many circumstances, insurance companies for the truck drivers understand the stakes involved in an accident and will immediately hire a private investigator to meet with you to try and obtain an adverse statement. You need to know your rights before you speak to any representative from the insurance company or the trucker. One wrong statement could be detrimental to your ability to receive the compensation you deserve. Our lawyers have over 30 years of legal experience, and we can help you through this difficult time. Some of the most common issues involving a negligent truck driver include: fatigue, alcohol, faulty equipment, excessive speeding, overloaded tractor trailers, and simple neglect. Our lawyers are dedicated to getting our client’s their maximum award for their pain and suffering, lost wages, and medical treatment. We are strategically located to represent accident victims throughout New York State. We have represented clients almost every county including Suffolk County, Nassau County, Bronx County, Queens County, Brooklyn, and Westchester County. 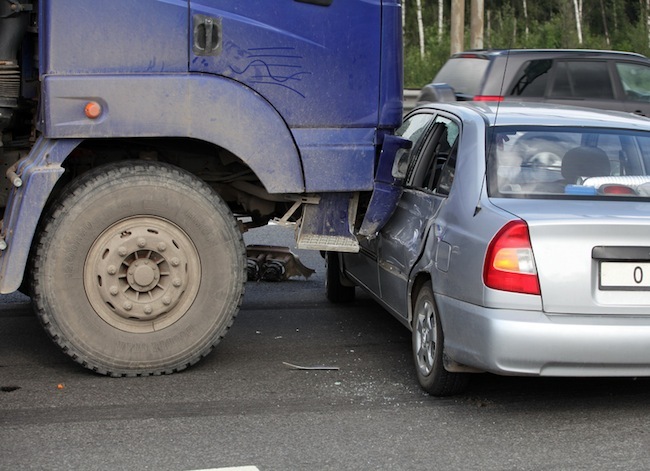 If you have been injured in by a truck, give us a call at 800-893-9645 and ask for your confidential consultation.